Coconut water is the liquid obtained from the unripe fruits of the coconut tree. It has seen as substantial increase in popularity over the past couple of years. However, our analyses revealed that more than a quarter of the products from shops contain undeclared extraneous sugars. As a low-calorie, low sugar and isotonic soft drink coconut water is an obvious alternative for consumers and athletes to the more common sugared soft drinks. Coconut water is also said to exert a health promoting effect due to its constituents like vitamins and minerals, for example potassium. Unlike coconut water, coconut milk is obtained from the pulp of the ripe fruit instead. 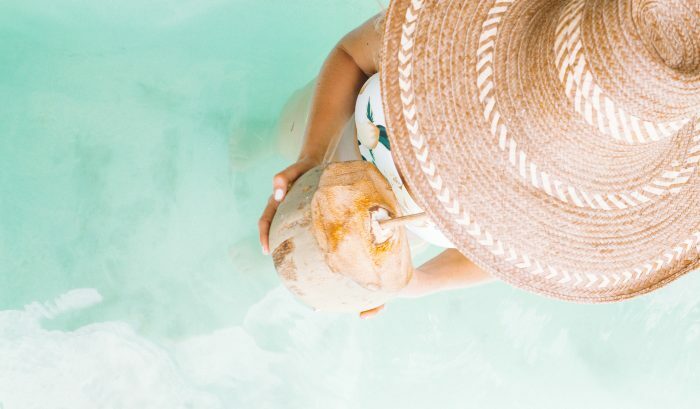 Coconut water found in retail markets is usually offered as pure coconut water or with added flavours like lime or Aloe Vera as well as an ingredient of smoothies and fruit juices. Before export, coconut water is often concentrated to reduce weight and reconstituted in the importing country using local water. The legal situation in Europe regarding coconut water is not clearly defined and regulated so far. One legal approach could be to use the Council Directive 2001/112/EC relating to fruit juices and certain similar products intended for human consumption in conjunction with Directive 2012/12/EU, which is an amendment to the before mentioned council directive. The detection of additions of corn or cane sugar is possible by means of isotopic ratios of the carbon in the sugars. QSI is using cavity ring down spectroscopy (CRDS) for the analysis. In this technique, the dried sample is first burnt and then the 13C isotope ratio in the combustion gases is analysed. QSI established a procedure to analyse the carbon isotopic composition in coconut water and collected 14 samples from retail for a screening. Four out of the 14 samples (three from Thailand and one from Mexico) showed strong deviations in the isotopic composition. This finding is highly indicative for the addition of extraneous sugars. Coconut waters extracted from fresh fruits from Mexico as well as sugar from coconut flowers were used as references. Coconut water is often advertised as being „without added sugars“, which was also the case for the four deviating samples. Thus, these cases can be regarded as consumer deception. A possible motivation for the addition of sugar could be a dilution with water to maximize profit and a subsequent addition of sugar to re-establish the original sweetness and taste. The added sugar renders the low-calorie, low sugar, isotonic soft drink obsolete as no advantages over the traditional soft drinks remain. We strongly recommend a verification of the authenticity of your products. Please contact us for further information on this topic as well as authenticity and adulteration of other foods.